Charmaine, thanks so much for taking the time to do this interview for my blog! I really appreciate it – especially knowing that you have so much more important things to be doing. Love you, girl! Miss Raquel: Could you please introduce yourself to our readers…and tell us a little about yourself. Charmaine: Well, I’m originally from Australia. I was born into a family that did full-time music ministry so I ended up being born on a Tour, in West Covina LA :) So the rest of my family in Australia didn’t get to meet me until the end of the Tour! Miss Raquel: So how did you get started in the music career? I hear that your parents were performing artists…? Miss Raquel: I heard that you sang back-up for Rebecca St. James. Could you tell us a little about your relationship with her? Charmaine: It was her family that brought me from Australia to be a part of her managements Label which was “Elevate Records”, I opened for her and also did back-up singing. It was such an amazing experience to be a part of her team. I learned a lot from her! At times we were the only 2 girls on the road. She was a great encouragement and example to me - my big sis! Miss Raquel: Had you always wanted to be a singer? If not, when did your passion for music begin? Charmaine: For me there wasn’t much of a ‘beginning’ because i was literally immersed into it. I decided to make it my ministry when i was about 11yrs though. Miss Raquel: Do you play any instruments? Charmaine: No. I wish my parents made me learn piano, though. Miss Raquel: Where did you find your band’s musicians? Could you tell us a little about them? Charmaine: At this point there has not been a set band. when i head out on tour this spring with ‘Press Play’ and Rachael Lampa, I will select peeps to join me on a regular basis. Miss Raquel: Who were some artists that really encouraged you to move ahead? Miss Raquel: When did your first album come out? What was your first single? Charmaine: Wow...ages ago. my first album was in Australia. But the 2nd album “All about Jesus” was done in the US. and i think the first single was “I love you Lord”. Miss Raquel: Have you toured very much? Miss Raquel: Are you coming out with a new album soon? Charmaine: Well i’ve just released my first album last spring. New stuff won’t be out till the end of this year! Miss Raquel: What is one thing that the LORD has showed you through your experience as a recording artist? Miss Raquel: Do you ever have back-up artists sing with you? Charmaine: I’m a nerd. Matrix is my number 1 fav movie. Miss Raquel: What are some things that you want people to see through you and your music? 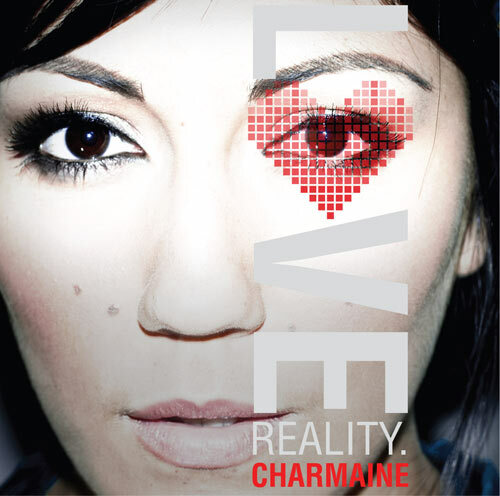 Charmaine: A glimpse of the ‘real reality’. To know Love Himself a little better to know, in-spite of their situation (good or bad) that, ‘there’s more to the story then this”. To know this Love Reality is to know Him. Miss Raquel: In closing, if there was one thing that you could tell to every girl in the world, what would you say? Charmaine: Look to Him. Love Himself. Find your value and joy in Him! In Him all things are Beautiful, New and Strong! Knowing that outward beauty, a boyfriend, a job, status, does not save you or make you! Only He can do what we cannot. He IS life. The life you’ve always wanted. I was sitting in church. Suddenly, the doors burst open and the congregation turned to see what had caused the sudden noise. A group of about eight people, all wearing masks, entered our small church building. Guns were in their hands, and they were all trained on us. A couple screams echoed from around me, but I sat still, stunned. Husbands, fathers, and brothers began to stand up around me and my family. Before any of us could ask the intruders of their purpose, one of them spoke up. "All of those who aren’t Christians can leave." Silence reigned for about a few seconds. Finally, someone stirred near me, and I turned to see a friend and her family stand, and slowly walk down the aisle towards the doors that were still opened. The mother clutched her husband’s arm. Next, an elderly couple. Another family. Then, the pastor and his wife and daughter. One by one, the church began to empty. I turned to look at my family. My Dad’s face was set as stone, and my Mama’s was placid and calm. She held my baby brother in her arms. The man who had spoken began to chuckle. I couldn’t see his face, but when he spoke, I could tell he was smiling. "So it’s just you guys, huh?" "Step to the front of the church, please." I looked at Dad, and he nodded, ever so slightly, and gently prodded Mama and us kids, until we stood in front of the pulpit. All of the men left, except the one who seemed to be in charge. We heard chains being put on the front doors. "The back door is still unlocked – for me," the man said. "If you try to escape, they have orders to shoot you." He moved slowly to a side window, and signaled to one of his men outside. He looked back at us, and began to talk. His voice seemed muffled as I dwelt on my own thoughts. This was a joke. Some sort of evil joke that these people are playing on us. Perhaps, behind that mask, was a man that we knew. Everyone had left the church because they were in on the prank. They just wanted to scare us. Yeah, like that story that I heard one time. About a Russian police force storming into a church. They made all the hypocrites leave, but only the true Christians stayed. And the policemen were actually Christians themselves. Yes, that’s what was happening here. This can't be real. We live in America! We are free to worship. "Pretty funny, actually," the man said, suddenly. I jerked back to reality. What was he saying? "You and your family were the only ones who stayed." He was looking at my Dad as he spoke these words, but my Dad remained quiet, staring straight ahead. The man grunted and turned away, going to a corner of the church, near a window. He proceeded to do something at a little counter that I had never really noticed before. I looked around and saw my little sister, Grace, sitting wide-eyed but happy, oblivious to what was taking place. Suddenly, the church was plunged into darkness. The only light was from a small window up above the pulpit. Even the windows on the sides of the sanctuary were dark. Grace echoed a small, startled scream and rushed into my Dad’s arms. Mama held Josiah tightly, while all of us children stood around them. Suddenly, I heard a hissing sound and looked to the nearest wall. Greenish fumes were slowly ebbing out of small pipes coming from outside. I heard my Mama gasp softly. My little siblings began to whimper. I looked to see where our captor was, but he had disappeared. Then, I heard my Dad begin to pray. Slowly, softly, calmly, like when we prayed at home – over a meal or before bed. My eyes began to tear. Half from the gas, that slowly continued to fill the room and half from fear. My thoughts raced a hundred miles an hour. When I breathe in this gas and slowly fade away, will I wake up in heaven? Will Jesus be there to greet me? No! I am a sinner. Worse than the worst. I’m not deserving to go to heaven. Jesus won’t want me there. Am I even truly saved? "God, I’m scared!" I cried out. "Help me!" Suddenly, a peace filled me. An assurance filled my heart. Jesus said that if you believe in Him, you will be saved. He said that when you repent of your sins that He is faithful and just to forgive them and that He cleanses us from all unrighteousness. He came to earth to die for our sins. God only sees His Son’s blood when He looks at us. I began to cry even more. Not from fear and guilt, but now from happiness. I was going to meet Jesus face to face! I looked around at my family, but couldn’t see them, because of the gas creating a foggy effect. I heard my Dad’s voice continue to pray, and my Mama was whispering to my siblings. Then, I woke up from my dream.